With the February Nintendo Direct out of the way, Game Devs and Publishers have begun sharing information about their games that were shown during the presentation. Bandai Namco have shared some more details about their newly announced game DISNEY TSUM TSUM FESTIVAL. You can see the official announcement below. SANTA CLARA, Calif., (February 13, 2019) – Leading video game developer and publisher BANDAI NAMCO Entertainment America Inc. today announced DISNEY TSUM TSUM FESTIVAL, coming to the Americas exclusively to the Nintendo Switch system in 2019. 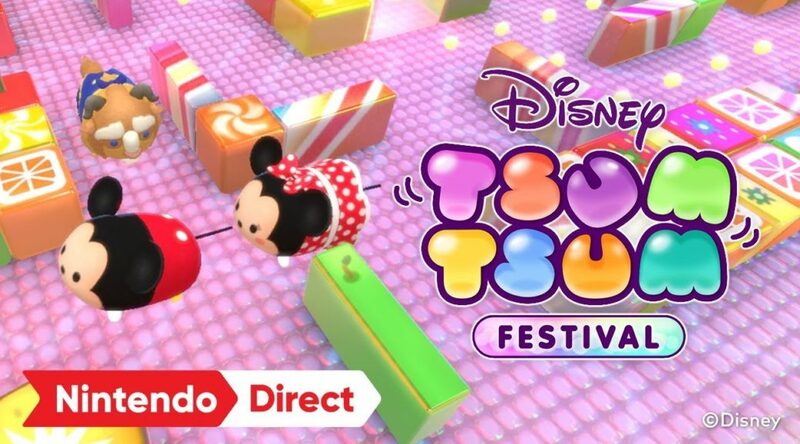 DISNEY TSUM TSUM FESTIVAL brings Disney’s highly popular stuffed Tsum Tsum toys to Nintendo Switch for the first time ever.